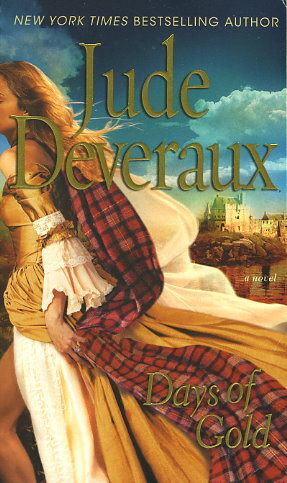 Jude Deveraux sweeps readers away in her second Edilean novel, a dazzling tale brimming with passion, humor, exquisite historical detail, and pulse-pounding adventure! Scotland, 1766: The laird of the clan, Angus McTern, has everything he wants in life. That is, until he is captivated by Edilean Talbot. Breathtakingly beautiful and born of privilege. Edilean represents everything Angus despises. Still, she dazzles him, and when Angus can no longer hide his feelings, she rejects him, leaving him deeply wounded and humiliated. But when Edilean needs his help to reclaim the gold she inherited from her father, her haunting beauty -- and her tears -- convince him to put aside his pride. However, when Angus tries to intervene, he is accused of kidnapping and theft. To avoid being prosecuted, he must escape with Edilean to America. There they will overcome almost insurmountable obstacles as the man who claims the gold for his own endlessly pursues them. Despite all that tries to keep them apart, Angus and Edilean also find a love as wild and free as the land itself.